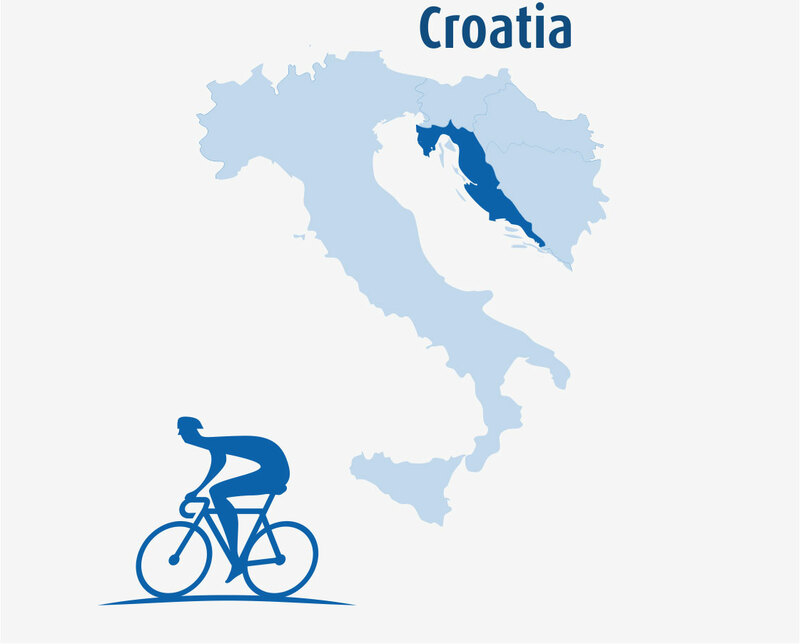 Along the azure Adriatic Sea lies Croatia, an unbelievable destination for a European bike tour. While its mainland stretches inward between Slovenia and Bosnia and Herzegovina, it’s seaward side features pristine island beaches, historic Roman ruins, and spectacular port cities like Split & Dubrovnik. As befits a coastal land, Croatia’s cuisine is characterized by delectably fresh seafood like oysters, octopus, and an enormous variety of fish. The highlight of our cycling tour is visit inland Plitvice lakes..there’s nothing like this lush valley of 16 terraced lakes, laced together by waterfalls and miles of pleasant plank walks. Come ride with us and experience cycling in Croatia in our style: nice race bike on amazing secondary road!